Bluebonnet Elementary first-grade teacher Beth Hilsabeck was honored for helping create the new names for LISD’s career centers, photo courtesy of Lewisville ISD. Bluebonnet Elementary first-grade teacher Beth Hilsabeck was honored Thursday at Nebraska Furniture Mart for having a hand in creating the new name for Lewisville ISD’s two career centers: Technology, Exploration and Career Center East (TECC-E) and Technology, Exploration and Career Center West (TECC-W). 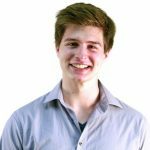 Hilsabeck’s name was drawn from three people whose submissions from a public survey were utilized for the new career center’s name, according to a LISD news release. 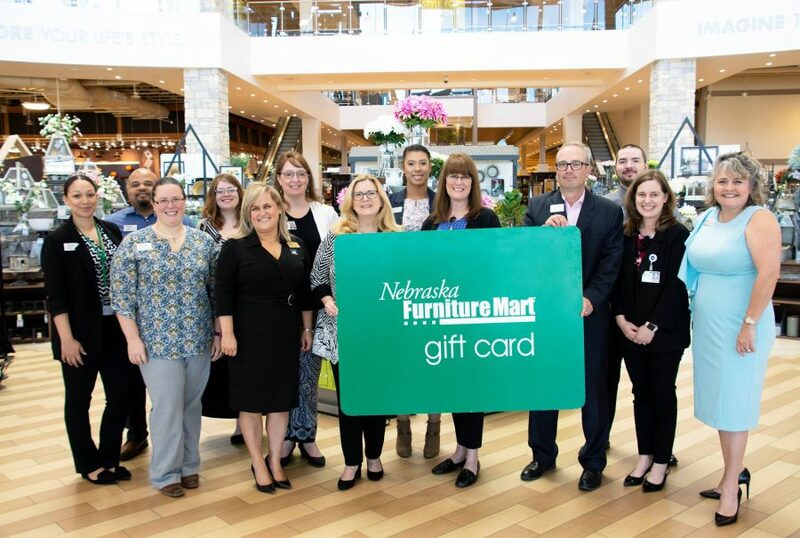 Hilsabeck received a $500 Nebraska Furniture Mart gift card. LISD Deputy Superintendent Dr. Lori Rapp, LISD Board of Trustees members, Nebraska Furniture Mart Store Director Ed Lipsett, and numerous store representatives attended the celebration. Hilsabeck said she and her husband, Alan, brainstormed one evening and came up with words they felt were important to LISD and the career centers. More than 200 names were submitted from the survey. A committee discussed at length the various suggestions with considerations given to branding, acronyms and other areas before putting forth a name for recommendation. The names were officially approved at the Feb. 11 LISD Board of Trustees Meeting. LISD passed a bond referendum in 2017 that included a new career center on the west side of Interstate 35 to replace the aging Dale Jackson Career Center (DJCC). The district decided to choose a single name that best captured the exciting, innovative work taking place at both DJCC and Career Center East (CCE), according to the news release. Nearly 10,000 students district-wide – including those from all five high schools (Flower Mound, Hebron, Lewisville, Marcus and The Colony) take Career and Technical Education courses each year.